I've heard so much about Ms. Marvel, all good things, and since I have been looking for a comic to read for a while this one sounded perfect. I started reading it with high expectations and at first I was a little bit disappointed...but then it got better. 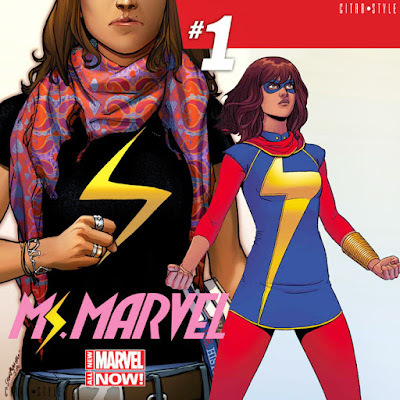 Maybe it was because it has been a while since I read my last super heroes comics, but it seemed like Ms. Marvel wasn't too depth. It's about Kamala Khan, a Pakistani-American girl who feels like she doesn't belong. Her parents aren't very flexible and when they don't let her go to a party with boys and alcohol, she sneaks out and discovers she has powers. 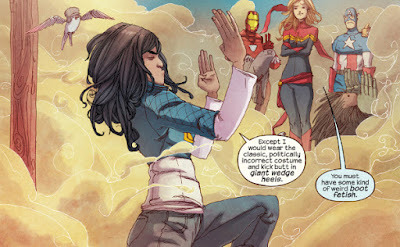 I don't think the 'essence' is too original, don't get me wrong, Kamala isn't a generic character and I'm very glad to read about other cultures, but ignoring that, she is just another girl with the same problems, taking illogical and irresponsible decisions (why? ), that I keep finding in every YA reading. I don't remember being like that at that age but I don't know, I probably was and my mom was rolling her eyes like I do now hehe. Overall, it took me a while to find myself caught in this new story but it's getting better so I'm looking forward to keep reading it! Also, I really like her looks and costume...way more realistic! 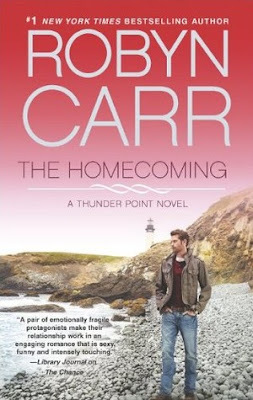 Overall, The Homecoming was a quick enjoyable romance with the perfect happy ending. Seth and Iris aren't my favorite couple of this series but they were cute and ready to be together forever and they left me feeling happy for them.